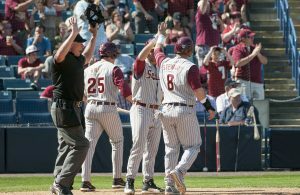 The sun has arisen once more, and it might set again before Florida State hires a new offensive coordinator. 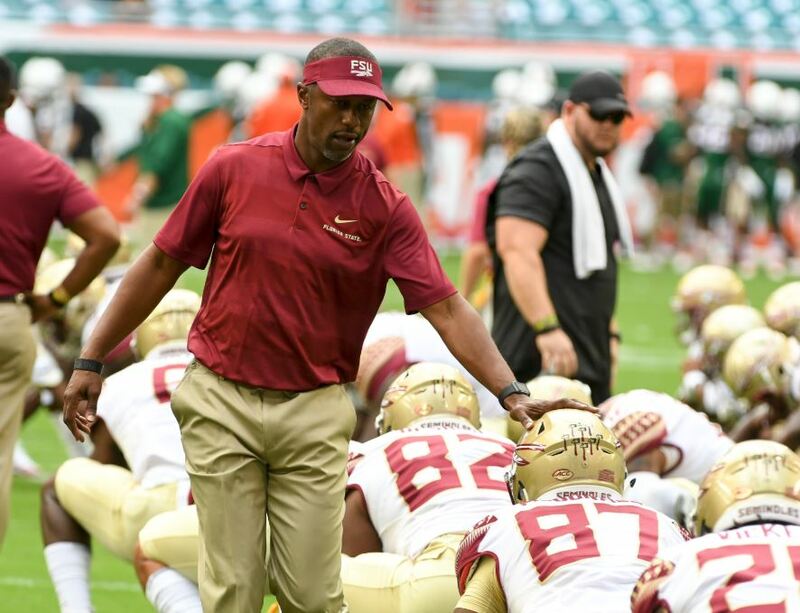 The departure of Walt Bell was unexpected (to outsiders at least) and now the Seminoles are back in a crowded market for what might be a defining hire of head coach Willie Taggart’s tenure. Not surprisingly, rumors and speculation are flying all over the place. We have been keeping track of both and reaching out to those we know at the university. It is a confusing time, and we are here to break down the biggest questions about what is happening with the search and where it stands. Yes. No. Maybe. Who knows? Can you repeat the question? In all seriousness, expect Florida State to have an offensive coordinator by next Monday. It could come Thursday night, or early Friday, or any time in between now and Monday. Coaching searches are notoriously hard to get information on, and even generally trustworthy sites struggle with providing correct info. There are a lot of actors in these musicals and they all want solos. Coaching markets do tend to move quickly as well, since interviews and discussions happen behind-the-scenes. Florida State might expand the board one more time, but the main candidates of Hugh Freeze, Mike Sanford, Larry Fedora, Jeff Scott, and Kendal Briles are still in play. Hugh Freeze is Over With, Right? Not necessarily. Florida State is moving on to interview and assess other candidates, but Hugh Freeze is still in the mix. 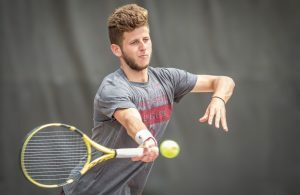 The chances of him getting hired have dropped considerably, but a couple of organizations put those chances too high to begin with. He is one of the most coveted coaches of the offseason with a lot of baggage. A team managing to lock him down in a couple days is unrealistic. There is a growing belief that boosters want a “splash hire” while Taggart wants a “smart hire”. That is not actually a dichotomy, and a candidate could fit both of the labels. The difference is the timeline. We have no idea how fast Florida State wanted to move with this position, though ideally it would have an offensive coordinator before Early Signing Day. Supposedly, the boosters wanted someone a bit quicker. It was not a huge issue though. Remember that Kliff Kingsbury — another highly-sought after coach — took nearly a week to accept the USC offensive coordinator position. Is Kendal Briles Really An Option? We’ll answer this in two ways. With regards to reports from sites likes 247Sports and Tallahassee Democrat, it does seem like Kendal Briles was at least interviewed. It makes sense — Taggart’s system uses a lot of the same concepts that Briles’ implemented at Houston, and if he was a halfway decent human being off-the-field, he would be a home run hire. Everyone can agree that Briles was at one point interested in the job. That interest was partially shared by FSU. 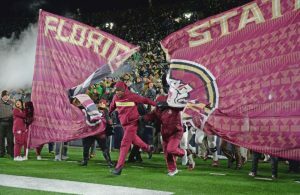 From what we gathered, Briles’ name was tossed around, but Florida State is not seriously interested in hiring him. This was from a source whose credibility we personally cannot vouch for. But this source is in a position where the source would rub shoulders with the decision-makers. The source was adamant that Briles would not be hired at FSU. Time will tell on the trustworthiness. Without diving in to the weeds on the subject, just understand that Briles is by no means guaranteed to be hired. This process is far from over and there are no indications that he has agreed to anything with Florida State. Is This Whole Thing a Sign of Dysfunction? There are a lot of different opinions on this subject which cannot ever be verified. Ours is the next one. Yes, it does seem like there is considerable dysfunction at the Moore Center. But it is not related to the actual hiring process itself. Consider this: Imagine someone had approached you in August 2018 and told you “Walt Bell will leave after one season where the offense is terrible. He will take a job at a very low-level FBS school for less money.” Would you think that is in any way a sign of a well-functioning program? Of course not. If it was added on that Bell was interviewing for other jobs in the middle of the season and that players were not particularly upset over his departure, would you think everything was working out smoothly? Each of these things have an obvious answer. Yet for some reason, there is a prevailing belief that Taggart has it all under control. Absolutely nothing after August 2018 gives us any indication this is true. Granted, he cannot control certain things, and the problems in both the administration and the team are beyond his help. But that does not mean it isn’t dysfunctional regardless. It is not the coaching search that is giving off this vibe, it’s the discussions inside the program about what has happened since October. Taggart can correct course fairly quickly. If he hires a non-controversial offensive coordinator who gets things running smoothly in 2019, it will be like the 2018 offseason never happened. All it takes is success and positive headlines to make people forget.